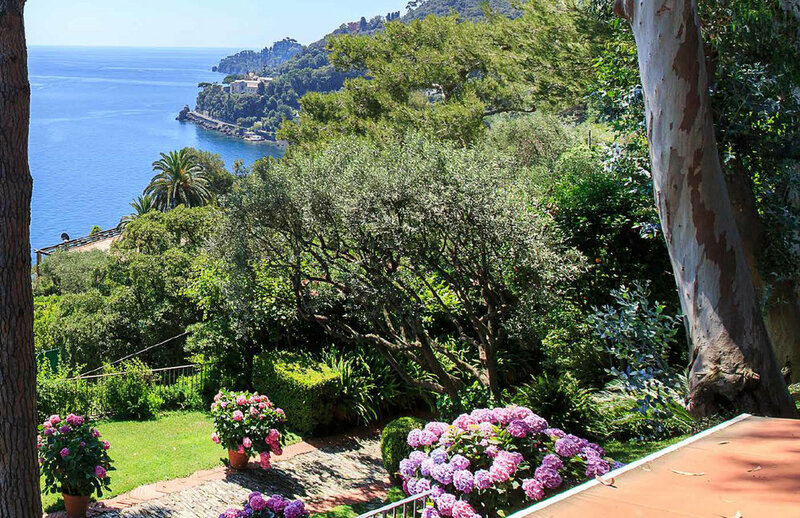 5,125 sqm plot of land approximately, in the Parco di Portofino area. 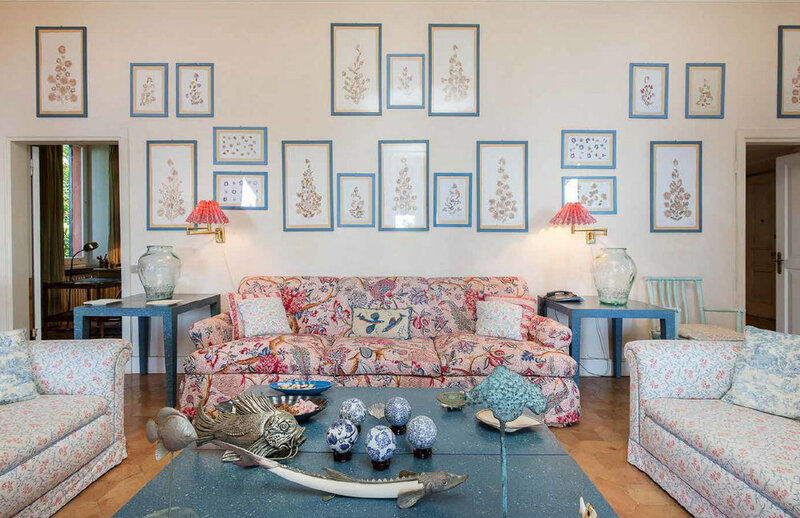 The Architecture and Interior Design was originally by Renzo Mongiardino. Garage for two cars plus exterior parking for four cars in the garden. The property is accessed from a private road with a security barrier, thus offering security and privacy. Please note that the access road does not appear on Google Maps, as it is a private road. 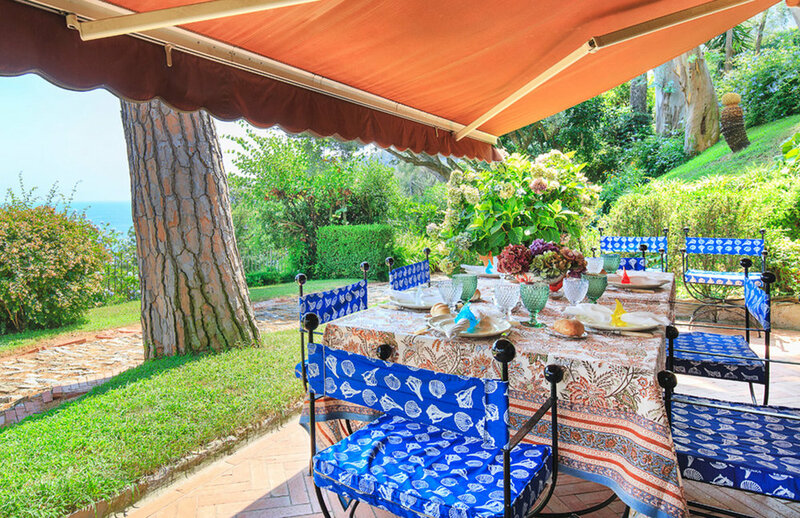 The property is 1km by car or a three minute drive from the Covo di Nord Est. The Main House has recently been renovated. With a small amount of additional building work, it would be possible to convert the large dining room to two additional bedrooms, each with an en-suite bathroom. 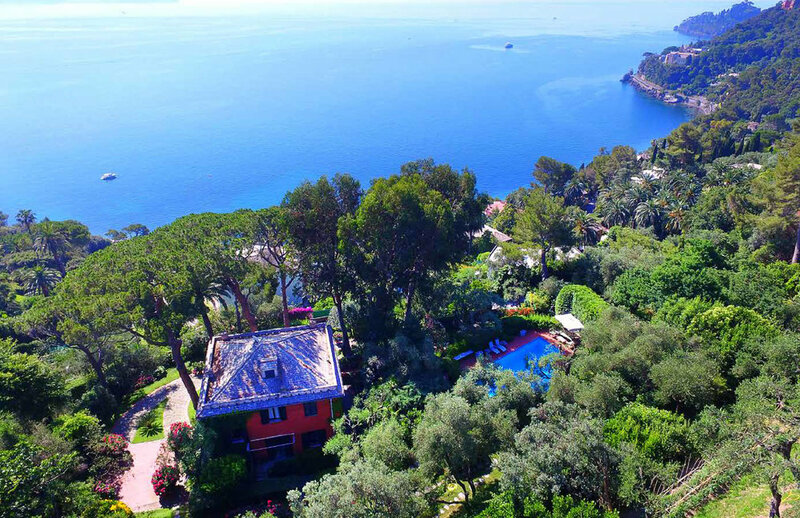 Properties in the Parco di Portofino are particularly special, because it is a protected area, and therefore it is impossible to build anything new, and impossible to build pools, so Portofino Park has remained unchanged in its original, charming state, for more than 100 years. 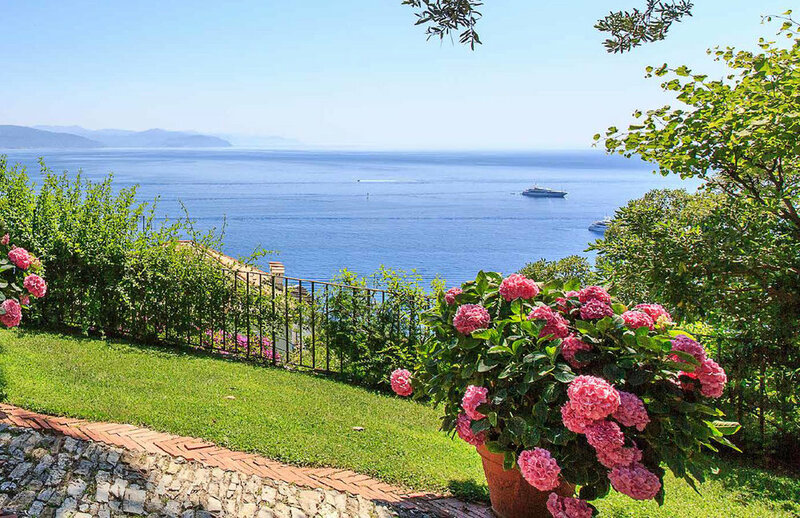 This remarkable property is perfectly situated, between Santa Margherita and Portofino, 500 metres from the sea. 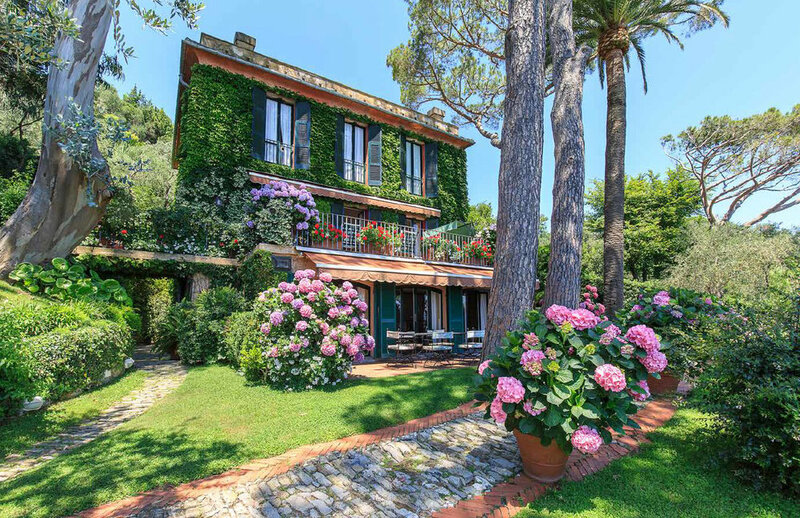 Set at the top of the hill, within a 5125 sqm parcel of land, the Villa Margherita has extensive grounds, landscaped gardens, and offers spectacular views of the Tigullio Bay. The property measures approximately 460 sqm including the Main House, Guest Cottage and assorted outbuildings. The villa itself is ideally positioned with commanding views of the coastline. It is arranged over three floors and offering 368 sqm of interior space. Unique features include two large panoramic terraces accessed from the front-facing reception rooms and from the dining room, both with coastal views. The entrance to the property is on the first floor. A separate entrance hall leads into a large reception room that opens onto the upper terrace. There is a library, study/ bedroom, and bar area. The ground floor has a large dining room, which opens onto the lower terrace. 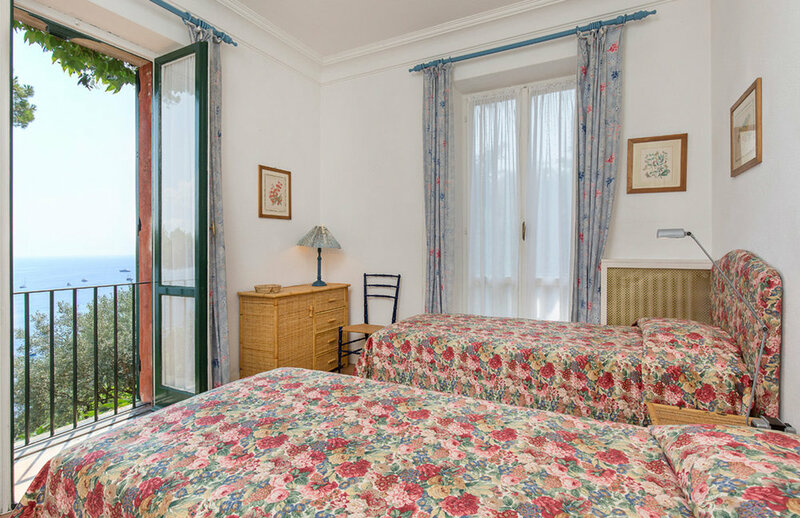 There is a small reception room adjacent to the dining room, a guest bathroom, a kitchen and separate staff apartment that includes a bedroom, bathroom and utility/ironing room. A spiral staircase with a wrought iron handrail leads from the lower ground to the upper floors. There are three double bedrooms on the second floor, each with an en-suite bathroom and built-in closets. In the garden, there is a separate Guest Cottage which has a further two bedrooms, each with its own en-suite bathroom. The landscaped garden is terraced and leads to a swimming pool set in an enclosed area above the villa. The pool has its own bar, changing room and bathroom. The pool area is fully equipped with sunbeds, tables, chairs and umbrellas. Carefully positioned trees and lush plants offer a mix of sunspots and shaded areas allowing guests to relax in style and in privacy. The property is surrounded by a landscaped garden that has been lovingly nurtured for more than 40 years. Tall maritime pine trees, exotic plants and flowers make this one of the most beautiful villas in the area. Above the main garden, there is a vegetable garden, which is used to grow organic vegetables and fruit. 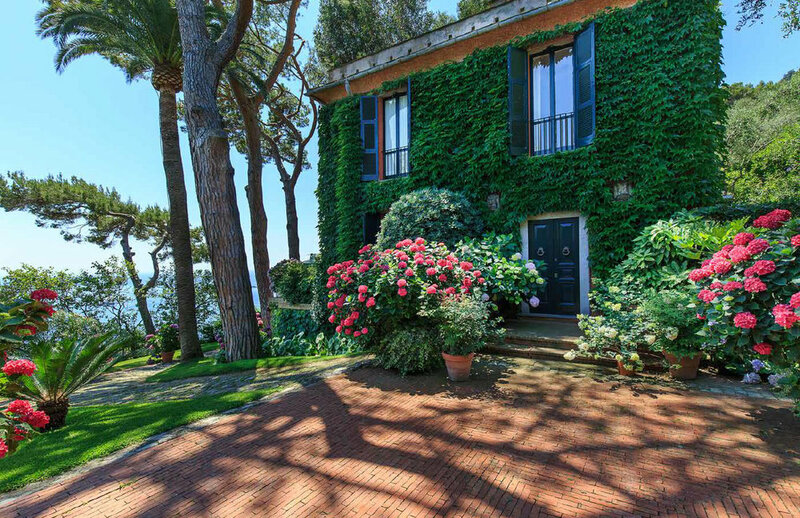 The property is in the Parco di Portofino area, specifically in the Comune di Santa Margherita Ligure. It is located at the top of the hill, in a dominant and quiet position, overlooking the Tigullio Bay. 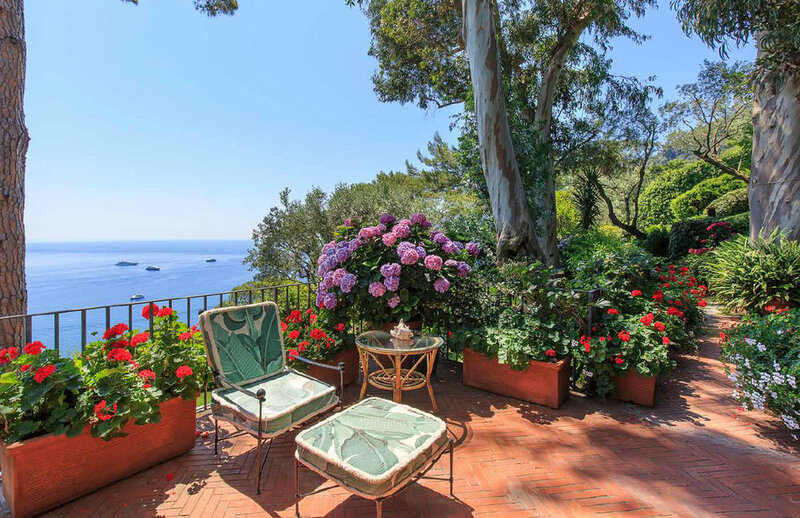 The property is 4 km, or a ten-minute drive, from Portofino, 2.5 km from Santa Margherita, and a 3 minute drive (1.2 km by) car from the Covo di Nord Est. Approximate distances: Genoa Airport 43 km, Milan 170 km. For more information please contact us by phone, or fill in the contact form below. Thank — your message has been sent to us, and we will get back to you as soon as possible.